Against the background of the struggle between Christianity and Islam for the control of the Spanish Peninsula, this book examines the internal condition of the Spanish Church in the thirteenth century, its relations with the Christian kings and with a succession of great popes. Concentrating upon Aragon and Castile, the author examines the reaction and resistance of the Church to the reforming decrees of the 1215 Fourth Lateran Council, and illustrates the attempts made by the papacy to wrest control of the Church from the crown. 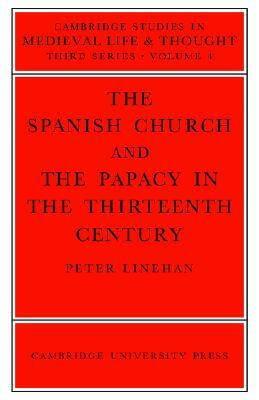 By using hitherto untouched Spanish sources as well as material from the Vatican, Dr Linehan is able to throw new light on economic and social problems, and to challenge effectively the conception that the Spanish Church was wealthy and influential. As well as being important for scholars of medieval Spain, this book provides essential comparative material for all historians of the medieval Church.